Welcome to KYHealthCare’s new website! 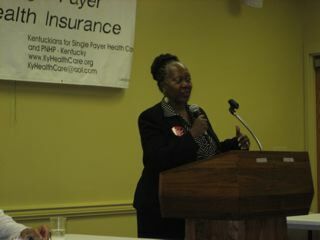 We think it will be a great tool to help get the word out about Single Payer health care news and events in Kentucky. This is a very exciting time to be working for Single Payer. We are making progress every day. Bookmark and share this site to stay on top of what’s happening. Better yet, join us! On March 26, 2015, Garrett Adams, M.D., MPH, Associate Professor Emeritus of Pediatrics at The University of Louisville and Past President, Physicians for a National Health Program, presented Grand Rounds at University of Louisville Department of Medicine. Watch the video by clicking the upper left corner. Grand Rounds function to share educational information within the medical community. The events are open to the public. 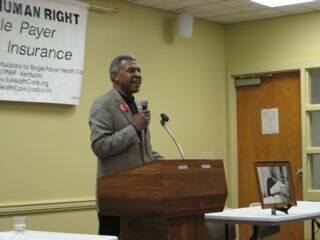 On January 18, 2014, Kentuckians for Single Payer Health Care (KSPH) will join in this celebration of the life of Dr. Martin Luther King, Jr. and will lead the breakout session on health care. Sowers of Justice Network and the Shawnee Presbyterian Church are sponsors of the event and invite your participation. The Rev. 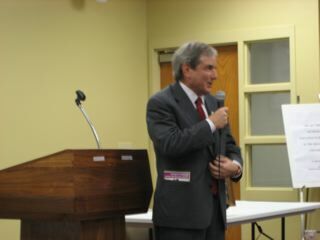 Ron Robinson, Pastor of the Shawnee Presbyterian Church, is a member of the Steering Committee of KSPH. 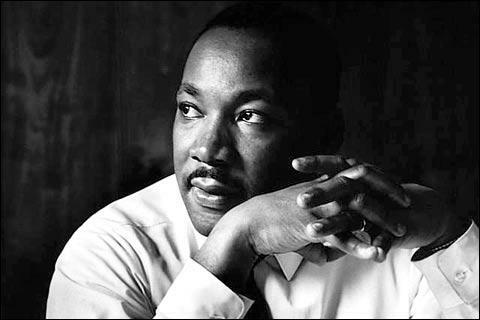 To celebrate MLK, Jr.’s life and invoke his work as successors to the enduring spiritual values that lead to action for justice through commitment to non-violence. To gather kindred souls in Louisville into sustainable collaborative action for justice and build on our shared spiritual values, shared passion for justice and a shared commitment to take nonviolent action. To plan collaborative action for justice and build on our shared spiritual values to take ongoing nonviolent action for specific issues. From what we learn that day, Sowers of Justice Network will launch working groups on issues and plan another gathering in early March. These topics represent areas of commitment for the Sowers of Justice Network through 2014. The Supreme Court is expected to rule on constitutional challenges to the Affordable Care Act (ACA) before the end of June. 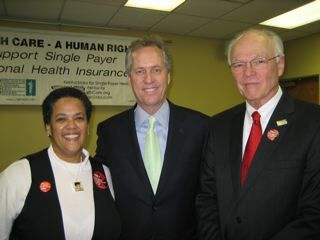 Kentuckians for Single Payer Health Care invites you to be with us as we join demonstrations for single payer all across the country with the positive message–Forward to Single Payer Health Care. We march for single payer, regardless of what the court’s decision is. At 4:00 pm on the day following the Supreme Court’s announcement, we will gather in Jefferson Park at 6th and Jefferson in downtown Louisville. There will be brief remarks. We will have signs, but you are welcome to bring your own. Beginning at 4:30 pm we will walk the two blocks to the Humana Headquarters at 5th and Main where we will issue a statement stressing the urgency of adopting a single-payer health system – an improved Medicare for All – as the only way to assure truly universal, comprehensive and affordable coverage, eliminate financial barriers to care, improve efficiency and control costs. If the law is declared unconstitutional in whole or in part, we will point out that single payer is clearly constitutional. We ask that all organizations help by forwarding this message to your members and turning out a crowd that will signal a positive, humane direction in health care for our people and the nation. Please join us! There is no charge for admission. 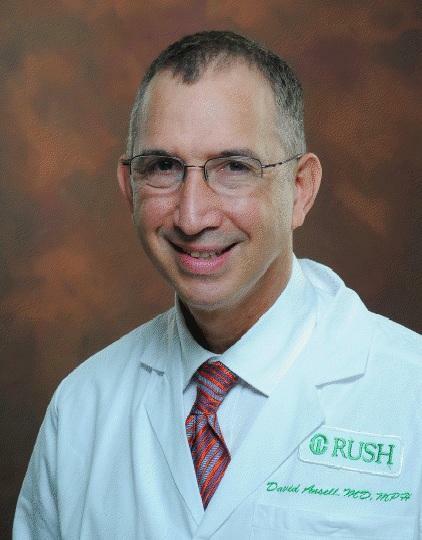 Dr. Ansell is an Internal Medicine physician and the Chief Medical Officer at Rush University Medical Center in Chicago. He has written extensively about health disparities. 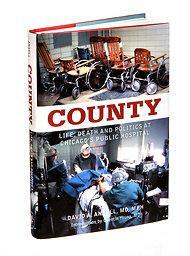 Dr. Ansell is the author of COUNTY: Life, Death and Politics at Chicago’s Public Hospital, a memoir about the years he spent working at the “old” Cook County hospital. The book speaks to our nation’s failure to address the most unjust of all the inequities present in the world’s richest society–that of health inequity. In the December, 2011, issue of Louisville Medicine, local physician M. Saleem Seyal reviewed County, praising the work as "important and thoroughly engaging." Dr. Ansell will be visiting Louisville on January 27th and 28th, 2012. A more complete schedule of events is available here (PDF). “…we cannot have too many of these stories in circulation, to bear witness, to inform and to inspire. 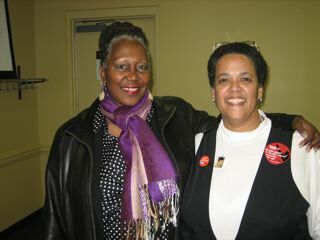 Saturday’s event at the Louisville Urban League featuring Dr. Claudia Fegan was a resounding success. The event drew more than one hundred people who were treated to some very inspiring speakers. 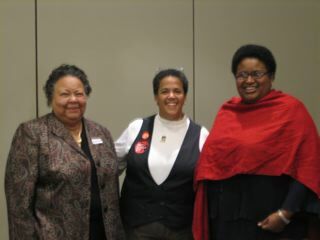 An article about the event can be found the Louisville Courier Journal of Sunday, January 16th, 2011: Click here to read the article. 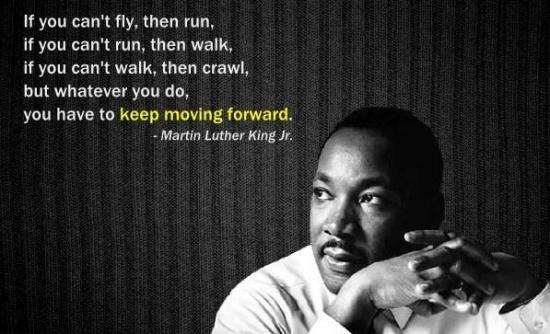 Celebrate the life and work of Dr. Martin Luther King, Jr. with Claudia Fegan, M.D. Dr. Fegan will speak on “Remembering Dr. King’s Cry for Justice in Health Care” followed by questions and discussion. Dr. Fegan is an expert on single payer. Refreshments and reception. Everyone welcome. 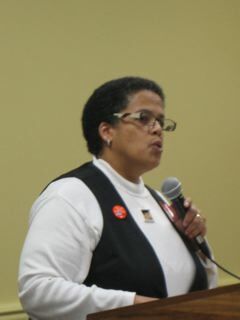 Dr. Claudia Fegan of Chicago is the associate chief medical officer for the Ambulatory and Community Health Network for the Cook County Bureau of Health Services. She practices primary care internal medicine at the Woodlawn Health Center of Cook County. 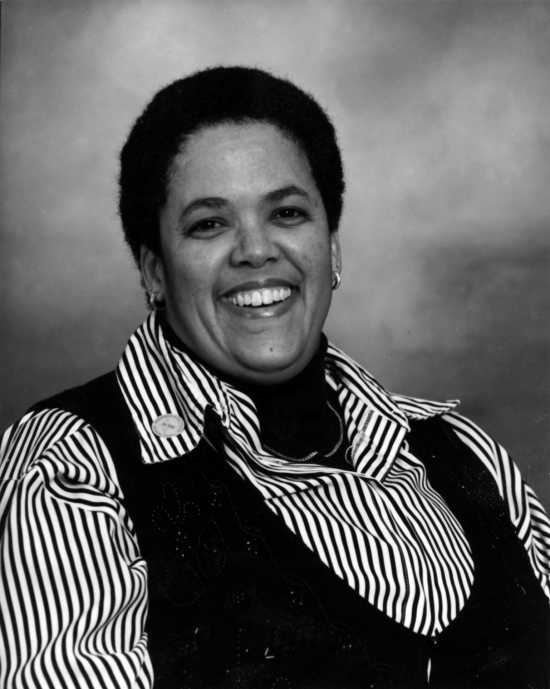 The daughter of a labor union organizer and a social worker, Dr. Fegan received her undergraduate degree from Fisk University and her medical degree from the University of Illinois College of Medicine. She is a fellow of the American College of Physicians and a diplomate of the American Board of Quality Assurance and Utilization Review Physicians. We invite you to a birthday celebration! People across the country are celebrating a program that has brought care and dignity to millions of seniors and those with disabilities. Entrance in the rear. Handicapped accessible and air-conditioned. Lunch, soft drinks and birthday cake provided by Kentuckians for Single Payer Healthcare (KSPH). Please come & bring your friends. RSVP appreciated but not essential. (502) 636-1551 or nursenpo@aol.com. We will have a brief program on the importance of Medicare. Those who believe in economic justice are particularly concerned at this time because the deficit commission, which must report to Congress by December 1, is targeting Medicare and Social Security. These vital programs are not the cause of the deficit and must not be sacrificed. Social Security is fully paid for decades into the future by the payroll taxes from all of us. Medicare can best be protected by improving it to cover all medically necessary care and expanding it to everyone as called for in Congressman John Conyers’ HR 676. Following the lunch, we invite those who can to join us for the 3-5 block walk to the offices of Senators Bunning and McConnell, and Congressman Yarmuth. We will ask that our representatives stand with us against any cuts in Medicare, Social Security or Medicaid, that they oppose any raise of the eligibility age, any lowering of the benefits, any privatization, or other actions that would weaken these vital programs, and that they support single payer legislation such as HR 676, Expanded and Improved Medicare for All. Protect Medicare, improve it, and expand it to everyone. We are the wealthiest nation in the world with the capacity to take good care of people of all ages. We reject efforts to pit generation against generation. We must protect and preserve Medicare and Social Security for our children and our grandchildren, and for seniors to come. (Next to the Main Street Lexington Public Library on the southeast corner of Limestone and Main. 5: 30 – 7:00 P. M.
Please join us at the following events March 25-27 in Louisville and Lexington with Dr. Oliver Fein, president of Physicians for a National Health Program. 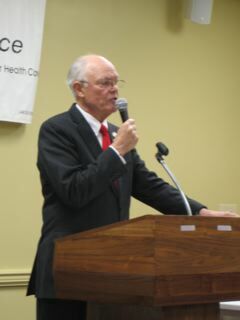 Dr. Fein’s appearances are proudly sponsored and supported by Physicians for a National Health Program-KY.
Dr. Fein is one of the country’s most popular spokespersons for single payer health care reform and a nationally acknowledged leader in health policy. 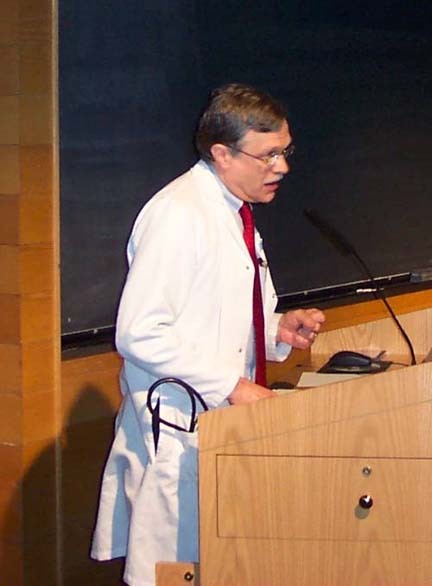 Dr. Fein, a general internist active in clinical practice, is professor of medicine and public health at Cornell University. 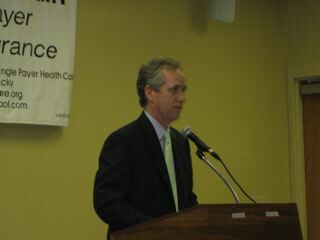 In addition to national health system reform he advocates for an expanded role for primary care. He was a Robert Wood Johnson Health Policy Fellow in Senate Democratic Majority Leader George Mitchell’s office. 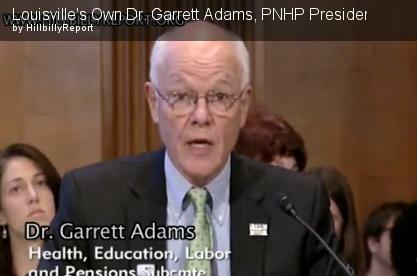 He is chair of the NY Chapter of PNHP and immediate past vice president of the American Public Health Association.